In a staggering display of short-term memory loss, housing officials within the Obama administration like Commissioner Galante are bending over backwards to push banks to make bad loans again. Specifically, Commissioner Galante’s FHA has, according to the Post, been “urging the Justice Department to provide assurance to banks … that they will not face legal or financial recriminations if they make loans to riskier borrowers who meet government standards but later default,” while encouraging the same banks to utilize home loan programs that insure banks against losses. In the event of default, taxpayers would be on the hook. The nation has been down this road before. The housing crisis that precipitated the latest recession was complicated, but it was undoubtedly made worse by the fact that the two federal housing giants with a federal “implicit guarantee,” Fannie Mae and Freddie Mac, were sucking up bad loans originated by private lenders at an alarming rate. Thanks to that strategy, taxpayers have paid $187 billion to Fannie and Freddie since they were brought under conservatorship in September of 2008. Last year, the White House announced the creation of a mortgage-related arm of the Consumer Financial Protection Bureau dedicated to punishing lenders that gave money to people without the means to pay it back. Now, with banks behaving more cautiously, the Obama administration would like them to lend to borrowers with compromised credit. For attempting to resurrect the types of bad lending that capsized the economy a few years ago, and for attempting to institutionalize the federal government’s micromanagement of housing well into the future, FHA Commissioner Carol Galante is CAGW’s April 2013 Porker of the Month. CAGW is a nonpartisan, nonprofit organization dedicated to eliminating waste, fraud, abuse, and mismanagement in government. Porker of the Month is a dubious honor given to lawmakers, government officials, and political candidates who have shown a blatant disregard for the interests of taxpayers. 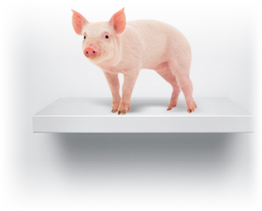 Tags: FHA,Commissioner, Carol Galante, CAGW, April 2013, Porker of the Month To share or post to your site, click on "Post Link". Please mention / link to the ARRA News Service. Thanks!